I had always liked to dine in front of an open kitchen. 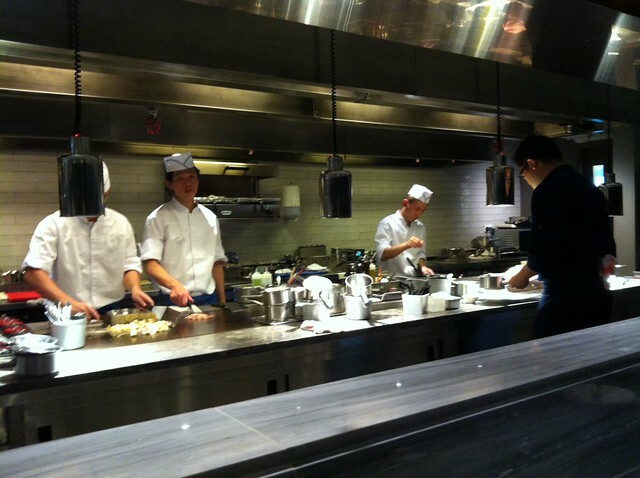 The upclose experience watching your meal being cooked by a crew of kitchen staffs so well trained, it’s like watching the food version of an amazing classical concert. Every one has a part to play, perfectly in rhythm, with verses and tunes seamless weaving in between each other, conducted by a conductor aka the head chef. The head chef in question tonight was one Olivier Elzer, a kitchen extraordinaire with a credential so sparkling, it’s hard not to get your hopes up dining at his very own restaurant. The three-Michelin-star chef’s latest foray in Lee Garden, Causeway Bay packs much promises for those who love French food, or simply good food. Just like my first time to La Cantoche, I was lost again. 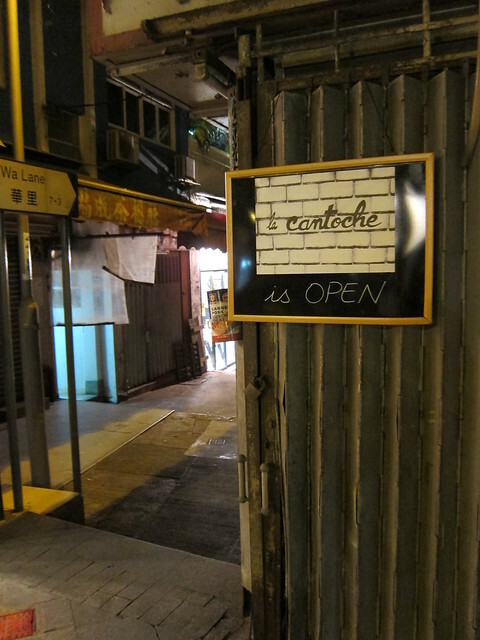 I blame it for the lack of the sign board that used to signal the entry to the Wa Lane, where La Cantoche is located at. But my feet hurried the hungry self in anticipation of the “party menu” that was just launched at the popular French-Vietnamese restaurant. You see, the restaurant has just launched a “group menu” that allows you to book dinner for a large group, anything from a rather intimate table of eight to a rowdy party of thirty. Depending on the group size, the chef will fire up the kitchen to cook up various dishes from the menu, so all you need to do is to sit back and let the food and drinks – choose from red, white or rose – flow endlessly throughout the night. Just like my first visit, the signature Rice Krispies lettuce wrap was easily the best dish for the night. 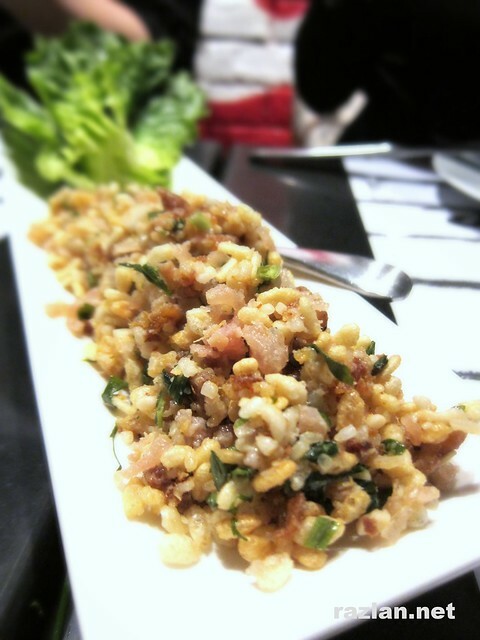 Mixed with bits of pork, shiso leaf and spices, the Rice Krispies is devoured wrapped with lettuce leaves. The result was a refreshing combination of fresh greens with spices and puffed up rice (of which I kinda learned how to cook that night). It was a secret recipe of the owner’s mom. 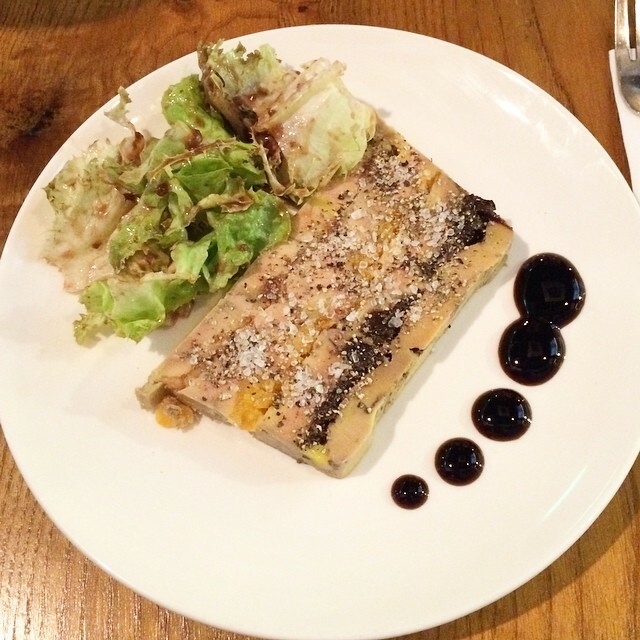 When asked if she ever did try the version at La Cantoche, the owner cheekily told us that she gave it a 90% rating. That made me wondered what was the 10% missing ingredient, coz to me this was already close to perfect on its own! So it was one summer afternoon when I found myself walking down the back alleys in Shek O with a dear friend. If you have been following this blog, you’d know that Shek O is one of my favorite beaches in Hong Kong. 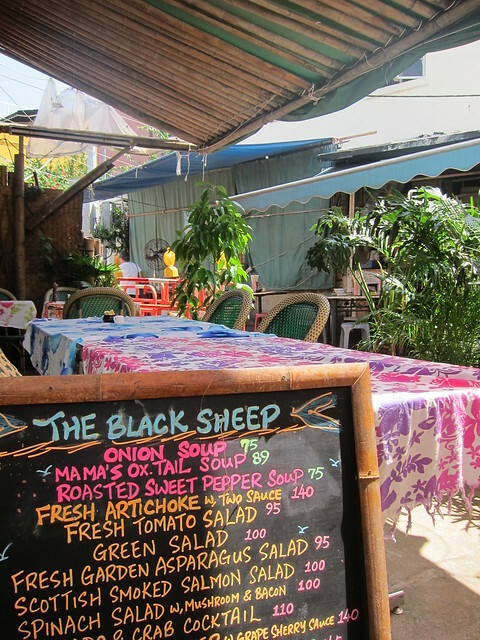 Exploring Shek O has revealed one of its best hidden gem, the Black Sheep Café, which was a distance away from the sandy beach. 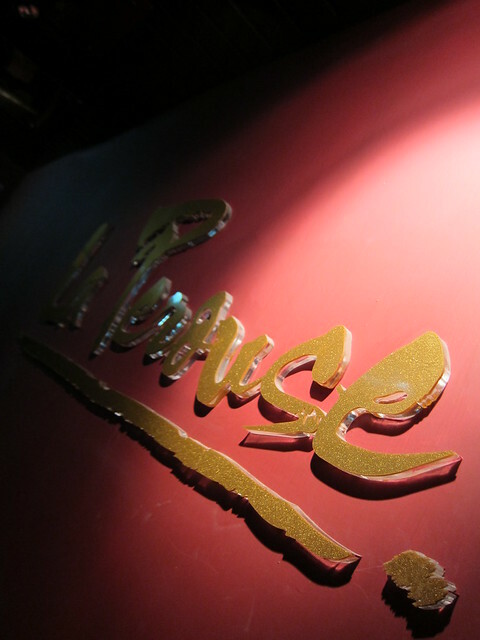 La Perouse is more often associated with its outdoor balcony seating area – a spacious veranda overlooking the Central Police Station, with a relatively unblocked view of its surrounding. In case you are not familiar with Hong Kong real estate, if you are at a high rise, it is of every likelihood that you can look out of your window only to stare into another one of the opposite block. So the space at La Perouse was definitely inviting. But it was into its indoor bar and lounge I went one night for a spot of Australian hospitality and great French food and boutique wine. Let me be upfront: I am a fan of lamb. Given a choice between chicken, beef, lamb and world peace, I will dither between the last two (I am not proud of it, I am only saying). 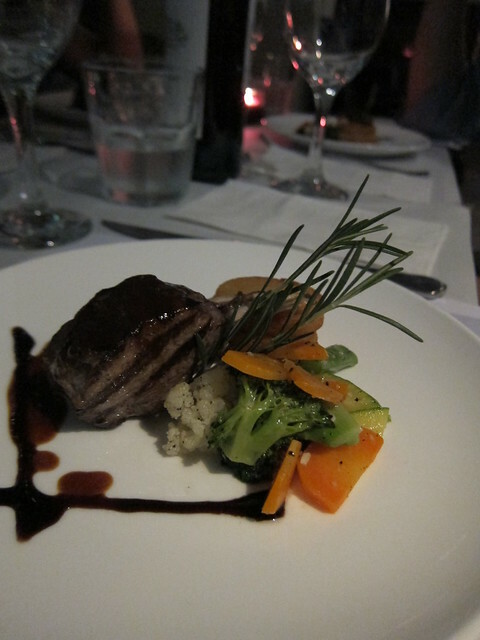 There are many people out there who don’t fancy lamb, because of its characteristic taste. I, for one, love lamb exactly because of that distinct flavour.